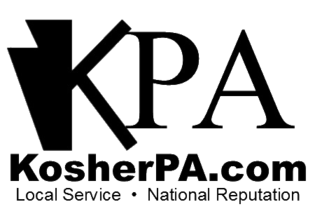 Lancaster County Kosher & KosherPA is a service provided by Chabad of Lancaster & York to help businesses bring their products to the kosher conscious consumer and to help people find kosher food. Our standards meet and/or exceed kosher industry guidelines. Consumers and Certifying agencies, feel free to call Rabbi Elazar Green with specific questions. Be open to more customers. Working with family owned and small businesses is a passion of ours. We love meeting new people and learning about the many different type of entrepreneurs and food manufacturing processes. We're based in Lancaster County and have arrangements with rabbis all over the world to service your company, wherever you are. 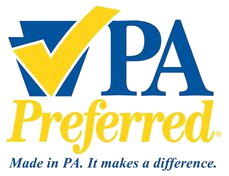 We've been kosher certifying since 2003, when we got our first phone call to certify kosher soft pretzels that ended up in a national chain store. If you're looking for straight answers, quick service, and great pricing, please be in touch. Lancaster County Kosher is administered and directed by Rabbi Elazar Green of Chabad of Lancaster, PA.
wherever you make great food. Fine products from these companies are KosherPA Certified. Please enter your contact information in the form to the right. Rabbi Elazar Green will be in touch by the next business day to learn about your company, your goals, and your dreams. It started in August of 2002. A rabbi from Pittsburgh needed help in certifying a soft pretzel that was going to be carried in a national chain. He called Rabbi Green who discovered that there is real need for kosher certification. Rabbi Green loves to meet people and help businesses flourish so Lancaster County Kosher was born. 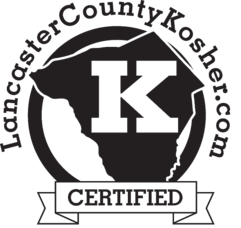 As requests for kosher certification started to come from outside the county LCK adopted the KosherPA label as well. Our certified products are enjoyed across the nation and around the world. With a unique partnership, KosherPA has rabbis in every major cities and many others. We most likely can help you, wherever you are. So give us a call today and take your first step to becoming kosher certified.